Juan Dingo is back with an Injustice: Gods Among Us combo tutorial. This is for Green Lantern players. 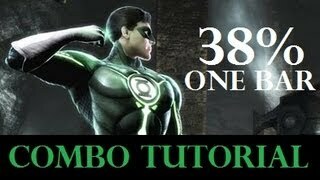 A new Injustice: Gods Among Us combo tutorial has been released by Juan Dingo. This one breaks down a 38-percent Green Lantern combo that utilizes one bar.